There is a need of studies exploring the link between socioeconomic status and DXA scans and osteoporotic fracture, which was the aim of the present study. No differences in socioeconomic status and risk of osteoporotic fractures were found. However, women with further/higher education and higher income are more often DXA-scanned. Lower socioeconomic status is known to be associated with a range of chronic conditions and with access to health care services. The link between socioeconomic status and the use of DXA scans and osteoporotic fracture, however, needs to be explored more closely. 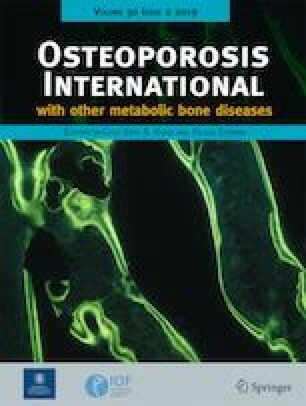 Therefore, the aim of this study was to examine the relationship between socioeconomic status and both DXA scan utilization and major osteoporotic fractures (MOF) using a population-based cohort of Danish women and national registers. 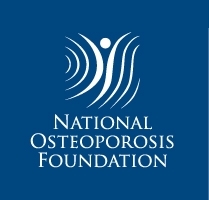 The study included 17,155 women (65–81 years) sampled from the Risk-stratified Osteoporosis Strategy Evaluation study (ROSE). Information on socioeconomic background, DXA scans, and MOFs was retrieved from national registers. Competing-risk regression analyses were performed. Mean follow-up was 4.8 years. A total of 4245 women had a DXA scan (24.7%) and 1719 (10.0%) had an incident MOF during follow-up. Analyses showed that women with basic education had a lower probability of undergoing DXA scans than women with further or higher education (greater than upper secondary education and vocational training education) (subhazard ratio (SHR) = 0.82; 95% CI 0.75–0.89, adjusted for age and comorbidity). Moreover, women with disposable income in the low and medium tertiles had a lower probability of undergoing DXA scans than women in the high-income tertile (SHR = 0.90; 95% CI 0.84–0.97 and SHR = 0.88, 95% CI 0.82–0.95, respectively, adjusted for age and comorbidity). No association between socioeconomic background and probability of DXA was found in adjusted analyses. The study found no differences in risk of osteoporotic fractures depending on socioeconomic status. However, women with further or higher education as well as higher income are more often DXA-scanned. We thank the participants in the Rose study and the technical staff in the four hospitals involved: Odense University Hospital, Odense and Nyborg; Hospital of Southwest Denmark, Esbjerg; and Lillebælt Hospital, Kolding, Denmark. The ROSE study was supported by INTERREG (4A JNR 08/4177), the Region of Southern Denmark (JNR 08/8133), and Odense University Hospital (JNR 11/5761). The proofreading and submission of the manuscript was funded by the Danish Arthritis Foundation. The funding agencies had no direct role in the conduct of the study, data collection, analysis, and interpretation of the data, or in the preparation, review, and final approval of the manuscript. S Möller, T Holmberg M Bech, J Gram, JS Tolstrup, KH Rubin have no conflicts of interest. MJ Rothmann has received a speaking fee from Eli Lilly. M Hoiberg is a full-time employee of Boehringer-Ingelheim Norway KS (currently). AP Hermann serves on advisory Boards for Eli Lilly, Amgen, and she has received research funding from Eli Lilly, a speaking fee from Eli Lilly, GSK, Genzyme, Amgen; K Brixen reports other from Merck, Sharpe, Dohme, other from Amgen, other from Novartis, other from NPS, all outside the submitted work.